Blackberry is returning back to where it began with a new phone that features the tratditional keyboard at a time when most of the smartphones have resorted to touch screens. Throughout the last few weeks, Blackberry Classic has been teased quite a few times with its pre-order campaign kicking off way earlier for $449. 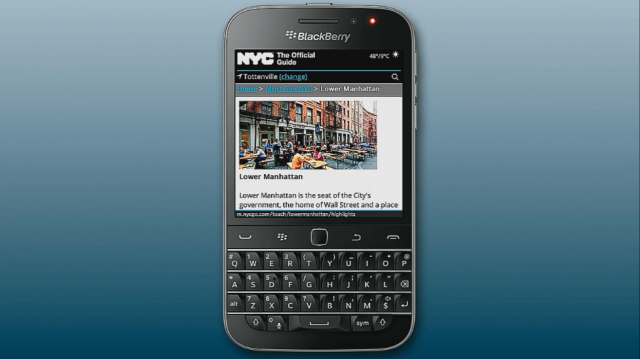 No more pre-orders as Blackberry has finally officially announced the device. Blackberry Classic takes us back at the time when Blackberry was truly meant for the businessmen with its premium devices. At first sight, the device surely looks like the successor to the best selling mobile device ever, the Blackberry Bold 9900. Blackberry Classic comes with a 3.5 inch 720p touchscreen with Gorilla Glass 3 protecting it. The device doesn’t have such high specs as its pcked with a dual-core 1.5GHz processor, 2GB of RAM, 8 mega-pixel camera with LED Flash, 2 megapixel front facing camera, 16GB expandable storage and of course the key feature which is the QWERTY keyboard which revolves around a square trackpad. The device runs on the latest Blackberry 10.3 OS and good thing it also supports native Android apps but via the Amazon Appstore. Starting from today, the Blackberry Classic is available worldwide and the device would be available from Amazon and Blackberry stores for $449.